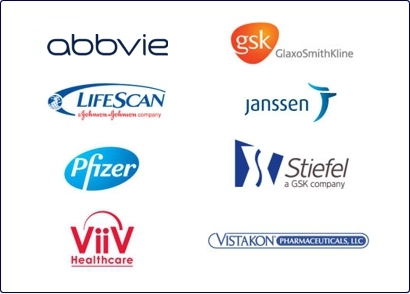 VISIT the Together Rx Access Resources for Professionals page. Join our community to spread the word to your patients, constituents and colleagues about the Program’s resource-packed website and prescription savings card. Together Rx Access provides you with resources to help you educate your patients, constituents, and those you serve. Together, we can help families and communities take care of what is most important – their health. On October 1, uninsured individual and families will be able to review the available health insurance programs in the marketplace to determine which plan or plans may be best for them and their families. All of the insurance plans, as well as programs available through Medicaid and the Children’s Health Insurance Program (CHIP), will use one simple application form. And, there will be many ways to enroll − online, using a toll-free number, by mail or in person. Read below to learn how you can help others prepare now for the marketplace. Use this free service to receive the latest news about the health insurance marketplace and the options available to those you serve. Visit healthcare.gov or marketplace.cms.gov to subscribe. 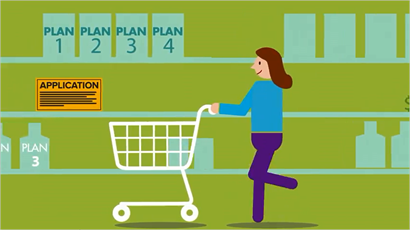 Talk with your patients, constituents and community members about writing a benefits “wish list.” This will help them find the plan or plans that are best for them and their loved ones. We offer resources to help your communities remain strong and healthy. 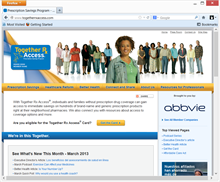 At TogetherRxAccess.com, you can find information about programs that offer prescription savings, a timeline of healthcare changes, articles and videos about how to manage chronic conditions, and ways to connect with colleagues, patients and those you serve.